Oatmeal is the ultimate whole food bowl of goodness, and this caramelized banana oatmeal proves it. 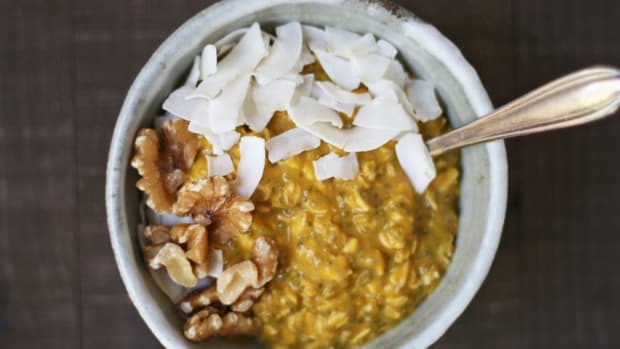 Bananas are caramelized in ghee and topped on creamy cooked oatmeal for a quick and delicious breakfast. 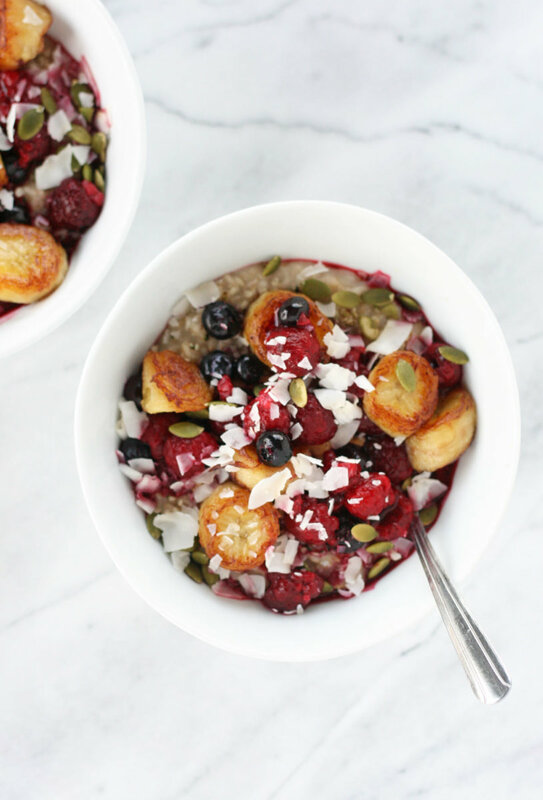 Top each bowl with fresh or frozen berries, a nut butter of choice, coconut flakes, nuts and seeds, and hemp seeds for an even more elevated bowl of oats. 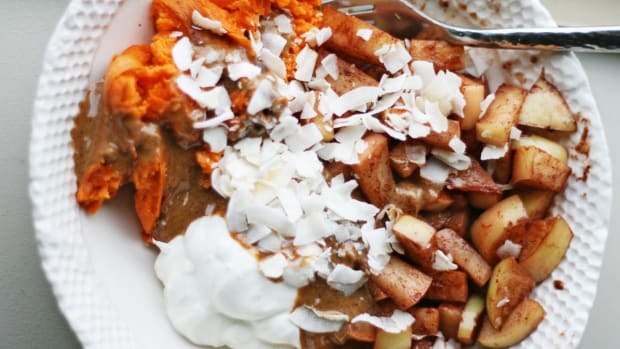 Oatmeal is a delicious and uber filling way to start the day. These gluten-free grains are packed with several vitamins and minerals, protein, antioxidants, and fiber. 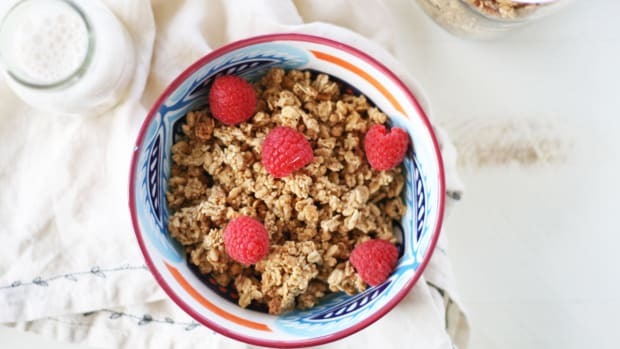 Just half a cup of rolled oats contains roughly 190 percent reference daily intake (RDI) manganese, 40 percent RDI phosphorus, 30 percent RDI magnesium, as well as impressive amounts of copper, iron, zinc, folate, and B vitamins. Oats are even more super thanks to the type of fiber they contain. 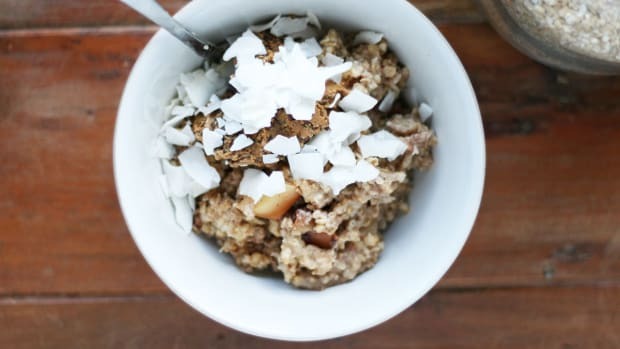 Beta-glucan, a type of soluble fiber found in oatmeal and other whole grains has been clinically shown to reduce LDL and total cholesterol levels, reduce blood sugar levels and manage insulin responses, and increase the amount of good bacteria in the gut, among others. Fiber-rich oatmeal is topped with ghee caramelized bananas in this simple oatmeal recipe. Ghee, or clarified butter, is a lactose-free cooking fat rich in vitamins K, A, and E, short-chain fatty acids, medium-chain fatty acids, and conjugated linoleic acid, (CLA) a type of fat associated with anti-cancer benefits. Ghee has a rich nutty taste and high smoke point, and is ideal for sautéing and caramelizing bananas. If you can get your hands on vanilla ghee, as in ghee made with the addition of vanilla beans, go for it! This makes caramelized bananas smell and taste like cake (honestly!) and is truly a game changing ingredient in the kitchen. Ghee, and vanilla ghee, can be found online or at health food stores like Whole Foods Market and Trader Joe’s. Use firm, yellow bananas (even slightly green ones) for this caramelized banana oatmeal recipe. 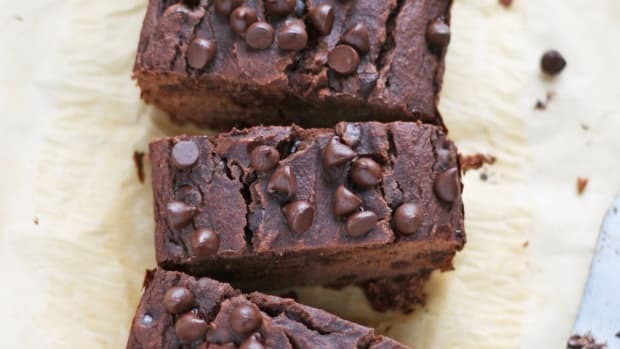 Bananas that are too ripe tend to get mushy and fall apart once sautéed; save those bananas for delicious chocolate chip peanut butter banana bread instead. Add water to a small pot and bring to a gentle boil. Stir in rolled oats and sea salt and reduce to a simmer. 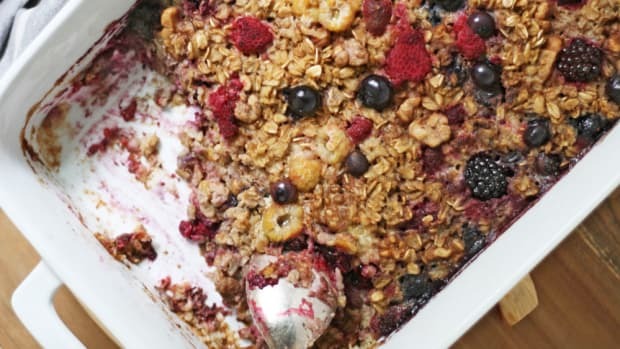 Cook oats for 8-10 minutes, stirring every so often, until oatmeal is thick and creamy. 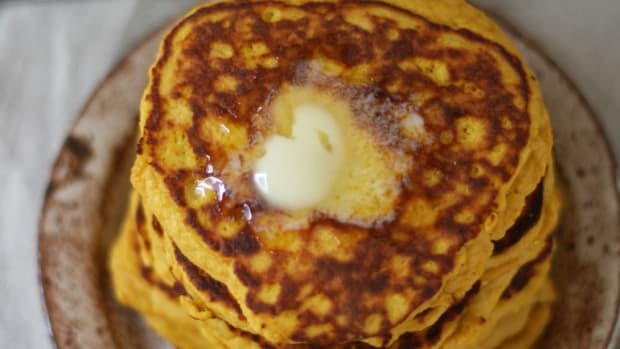 While oatmeal cooks, heat ghee in a non-stick skillet over medium heat. 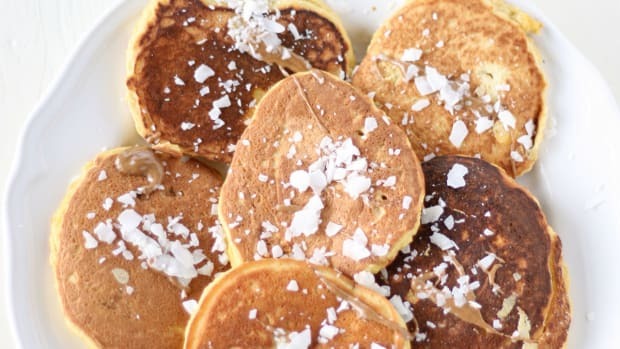 Carefully add in sliced banana coins to hot skillet. Sauté for five minutes, flip, and sauté an additional five minutes, or until both sides are golden and gently caramelized. 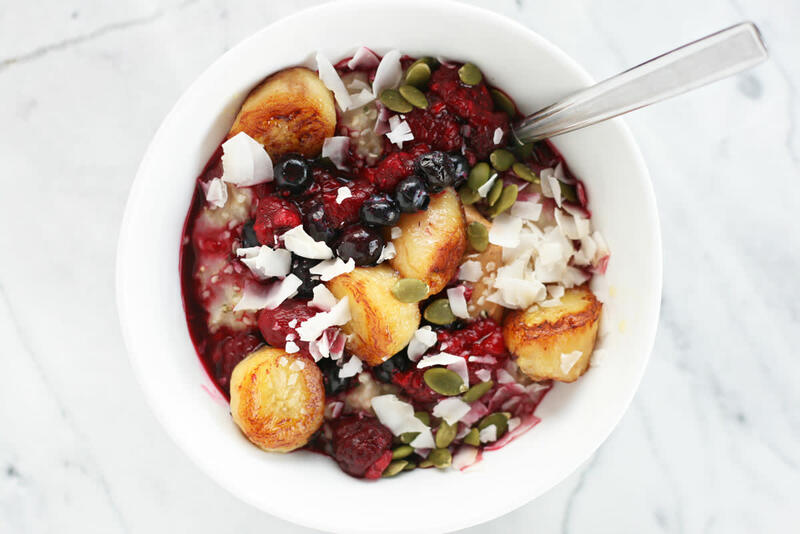 Divide oatmeal into two bowls and top with sautéed bananas, cinnamon, and desired toppings. Enjoy!